Starter Solenoid plays two roles in the starter, one is connecting to the main circuit to make the starter rotation; the other is pushing the pinion gear to mesh with engine flywheel ring gear by shifting fork. Starter Solenoid technical requirements: large suction, large stroke, reliable break-make of contacts, large electric current, small size and lightweight. 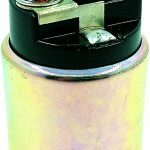 In the process of using the starter, the quality faults only caused by Starter Solenoid contact adhesion take about 50%, seriously affecting the reliability of the starter work. Therefore, in addition to solving the problems of the Starter Solenoid contact system and the magnetic system, the improvement of Starter Solenoid structure is also very important. 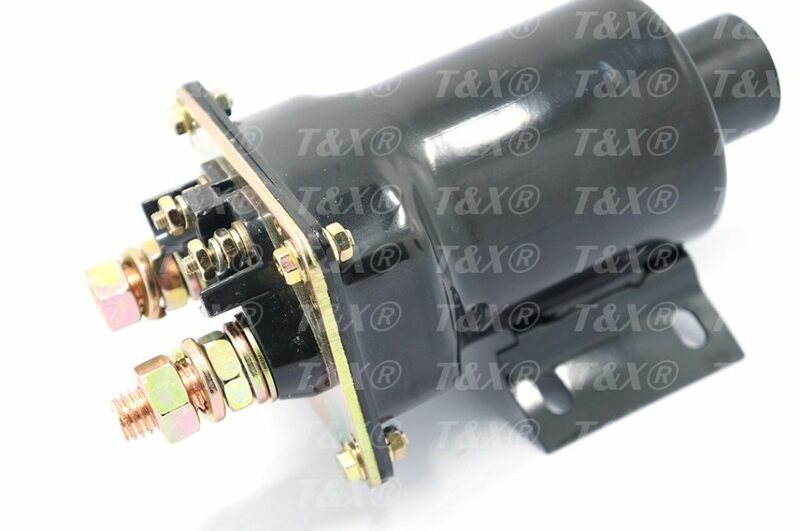 Starter Solenoid Switch is mainly composed of contact part and electromagnetic absorption part. 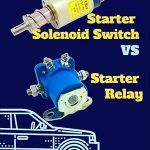 According to the linking methods differences from ejector rob and iron core of Starter Solenoid, Starter Solenoid traditional structure are divided into two types: disconnect-type and integral-type. As shown in the left figure, due to the disconnection between ejector rob and iron core of disconnect-type Starter Solenoid, the size of the air-gap between the iron core and retaining iron has nothing to do with dynamic and static contact clearance, thus, the contact clearance can be smaller (3~4 mm in general), so that the length of the switch shortened and the structure is relatively compact. However, the disconnection of the dynamic and static contact is mainly affected by the reaction force of the contact separating spring, and the spring is smaller so that the force of contact disconnecting is smaller as well, thus the problem of contact adhesion frequently comes in, which is the biggest drawback of such a structure. As shown in the figure, ejector rob and iron core of integral-type Starter Solenoid are integrated, the air gap of the iron core is same with contact clearance, so that switch with such structure is longer on the whole. Dynamic and static contact separation mainly affected by the reaction force of the return spring, because the spring and force are larger, it is relatively conducive to contact disconnection. However, the biggest drawback of such a structure is that once a certain part of meshing structure doesn’t return smoothly, it will bring serious consequences of the main circuit continuing to energize and the starter re-versing, where contact adheres, the machine scrapped. Iron core of improved Starter Solenoid is flexibly connected together with connecting rod and ejector rob, when the solenoid coil is energized, iron core will move for a distance and then push the ejector rob to the static contact, so that the dynamic and static contacts are fully connected, thereby processing the main circuit to make the motor work properly. When the solenoid coil is powered off, the coil does not produce magnetic attraction, and the iron core exits the retaining iron under the reaction force of the large return spring. At this time, dynamic and static contacts are disconnected (referred to as ” the First action”). When the iron core is reset to a certain distance, the reaction force of the large return spring is applied to the ejector rod at the same time, resulting in a sufficiently large tension to make the dynamic and static contacts disengage (referred to as ” Secondary action”). The biggest advantage of the improved structure is that it effectively integrates the advantages and disadvantages of the traditional structure, and realizes the characteristics of compact structure, small volume, reliable break-make control of contacts and eliminates the failure caused by contact adhesion.